This entry was contributed by Leisha DeHart-Davis on February 4, 2015 at 11:35 am and is filed under Organizational and Personal Leadership, Tools and Practices. Create accountability, such as processes for hiring and promotion. Rules also coordinate activity, communicate expectations, motivate people, and ensure fair treatment. And this is the short list. Unfortunately rules have gotten a bad rap in our culture. It’s easy to label rules as bureaucratic red tape, particularly when we dislike them. And when rules earn the red tape label, they tend to be viewed as flawed and burdensome – even when they are not. As a result, rules perceived as red tape are more likely to be ignored, circumvented, or openly violated. Our affinity for the red tape label is a problem given that the vast majority of organizational rules work. But rules are like the operating system on your laptop. You only notice them when they stop working. And the few rules that don’t work give a bad name to the majority of rules that do. Because organizational rules are both indispensible and vilified, I set out eight years ago to uncover the ingredients of an effective rule. I decided to call effective organizational rules “green tape,” to contrast with red tape and give me a shorthand for referring to effective rules. In my quest to understand green tape, I teamed up with graduate students and faculty colleagues to interview 200-plus local government employees and survey over 2000 about their views on rules. 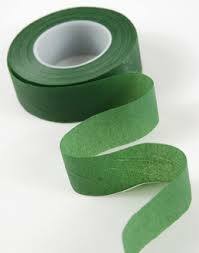 From this research, we learned that getting to green tape requires creating good rules that people will follow. Note that this prescription requires two things: well-designed rules and willing followers. A smart rule ignored by all is as ineffective as a dumb rule with a faithful flock. Neither gets the job done. Put Rules in Writing. Putting rules in writing forces managers to think through rule requirements in black and white. Who among us has not conceived a brilliant idea only to see it look less-than clever on paper? Written drafts of rules not only force us to scrutinize our own logic, they also allow others to more easily provide feedback. In final form, written rules are also easier to explain, enforce and follow, in part because they are perceived as being more legitimate. Involve Stakeholders. Rules do not implement themselves: they require the cooperation of stakeholders, those who explain, enforce and follow rules. The best way to gain cooperation with rules is to give people a voice in rule design. Involving stakeholders also creates rules that are better conceived because they are more likely to be devised from a variety of angles. Check Rule Logic A logically designed rule is a blueprint that translates managerial intent into effective action. Without logic, the blueprint is flawed and incapable of achieving intended purposes. Rule logic does not require doctoral-level analysis; rather it is the province of common sense and managerial thought. Rule logic also encourages rule following by making compliance a meaningful activity, one that allows rule followers to see the relationship between means and ends. Consistently Apply Rules Consistently applying rules is a matter of fairness. When particular groups or individuals are routinely exempt from rule requirements, it creates procedural inequities that make employees question their value and worth. Caveat: consistent rule application is NOT the same as never making exceptions. Exceptions are part of life and managers need to recognize the tradeoffs involved when doing so. Shoot for Optimal Control. Rules that impose too much control stifle initiative and creativity, create inefficiency and signal distrust. But too little control guarantees inconsistency and frustration, if not chaos. So managers have to figure out just the right amount of control to impose. Estimate minimum requirements for accomplishing rule objectives and don’t go past them. Communicate Rule Purposes. Rules are more likely to be followed when their purposes are clear. As Los Angeles Police Chief Charlie Beck explained to his officers, “Perceptions matter. It is not enough that you follow the law, you must also confidently explain the reasons you took police action to the people with whom you interact… The act of an unsolicited explanation has tremendous value for everyone involved and goes a long way.” Managers can create green tape by regularly communicating rule purposes and how they fit in with the big picture.